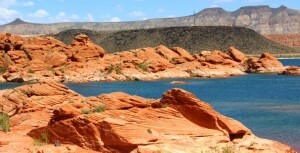 ST. GEORGE — In early December, Sen. Mike Lee asked Senate Majority Leader Mitch McConnell not to permanently renew the Land and Water Conservation Program, citing lack of maintenance funding for lands already purchased by the program. The program expired in September. However, on Dec. 17, Congress voted to renew the program for three years with a $450 million budget for 2016, nearly doubling the 2015 budget. … to assist in preserving, developing, and assuring accessibility to all citizens of the United States of America of present and future generations and visitors who are lawfully present within the boundaries of the United States of America such quality and quantity of outdoor recreation resources as may be available and are necessary and desirable for individual active participation in such recreation and to strengthen the health and vitality of the citizens of the United States by (1) providing funds for and authorizing federal assistance to the States in planning, acquisition, and development of needed land and water areas and facilities and (2) providing funds for the federal acquisition and development of certain lands and other areas. In addition to Lee’s opposition to the LWCF, Utah Rep. 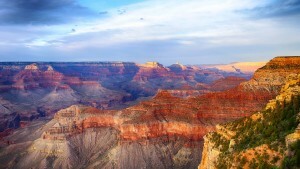 Rob Bishop, chair of the House Committee on Natural Resources, has also publicly stated his opposition to the program. According to the Department of Agriculture, the program has protected more than 7 million acres. The program is funded primarily by offshore drilling profits and Congress allocates as much as $900 million dollars yearly for purchasing new land. The land is targeted each year by the U.S. Forest Service (which is in charge of the program), the Interior Department, the U.S. Fish and Wildlife Service and the Bureau of Land Management. 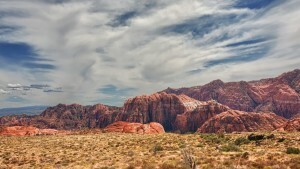 Sandberg said the Red Cliffs Desert Reserve in Washington County will most likely apply for funding to purchase some of the remaining inholdings within the reserve; but with stiff competition from numerous other land entities, gaining funding can be difficult. The allocation of funding is being hailed as a victory for both conservationists and conservatives opposed to federal land ownership. Conservationists are hailing the funding despite its short-term status in part because the program is set to receive approximately double the funds compared to the 2015 budget, while their foes claim victory because the program is not being funded for the long term. The fund has benefited every single county in Utah, Crook said, along with virtually every state in the nation. According to a document from the National Park Service which lists the grants awarded by the land and water conservation fund (grouped by county), Washington County has been awarded 21 grants totaling more than $2.5 million. 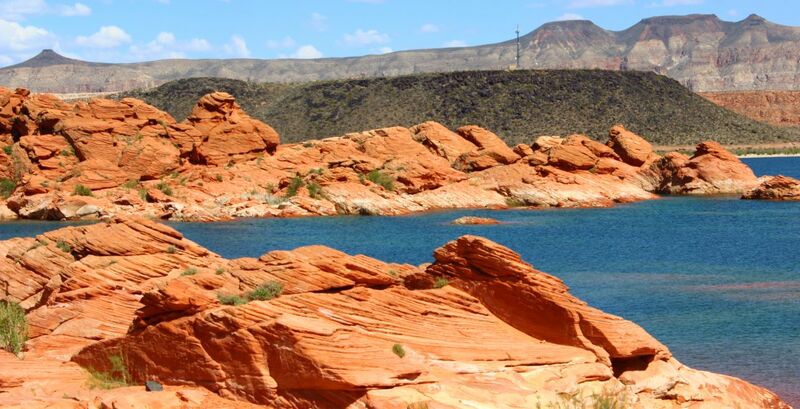 Parks such as Snow Canyon State Park and Sand Hollow State Park have benefited from the fund. For the 2016 fiscal year, Washington County has two projects recommended for grants from the LWCF: the Santa Clara/Land Hill Area of Critical Environmental Concern and Zion-Orderville Gulch, both of which are sponsored by Utah Rep. Chris Stewart. The LWCF enjoys bipartisan support within Washington County, a unique circumstance for a federal lands acquisition program. The temporary renewal of the fund is a good thing, County Commissioner Zachary Renstrom said. He also said he understands the financial concerns of Bishop and supports congressional revamping of the program’s mission. Most people recognize there are lands within Washington County that need protection but outside of the county, Renstrom said, there are those who have concerns about the federal government buying an excessive amount of land. Lee’s third and final point of opposition concerns allocation of funding. When the program was initiated, he said, the funding was designated to funnel 60 percent of the money to states and 40 percent to the federal government. Snce a 1976 amendment, the program removed the 60 percent requirement, Lee’s letter said. In the last 10 years, Lee said, the program has averaged only 11 percent in allocations to the states. Lee’s letter was signed by Sens. James Langford from Oklahoma, Jeff Flake from Arizona and Ted Cruz from Texas. The Santa Clara/Land Hill are targeted for LWCF funding has numerous archaeological sites in need of protection. Photo taken Feb. 8, 2015, Santa Clara, Utah. 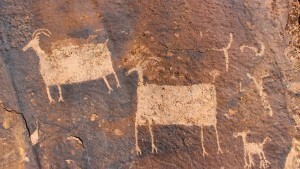 | Photo by Don Gilman, St. George News. Despite the opposition from some Republicans, the Land and Water Conservation Fund enjoys bipartisan support at the federal level as well. In mid-April this year, House bill H.R. 1814 entitled, To Permanently Reauthorize the Land and Water Conservation Fund, was proposed, seeking permanent funding for the program. This bill was sponsored by 200 house members, of whom more than two dozen were Republicans. In September of this year, Rep. Patrick Meehan (R-Pennsylvania) sent a letter signed by 30 Republican house members to then-Speaker of the House John Boehner asking him to fund the program before its lapse. Sen. Kelly Ayotte, R-New Hampshire, has also affirmed support for the program, saying that the project has benefited New Hampshire in numerous ways. Washington County has shown how the fund can be used properly and enjoy widespread support, Renstrom said, even in a county that normally is averse to federal land acquisition.